Should Girls Shave Their Faces?! We Clear All Your Doubts! The concept of women shaving their face is unheard of in India but it has started gaining a lot of popularity in many countries in the past year. In fact, Japanese women have been doing it for ages and beauties like Marilyn Monroe, Elizabeth Taylor and Cleopatra did it too! So before you think we’ve completely lost our marbles, you may want to give it a thought, especially if facial hair is a major bother for you. 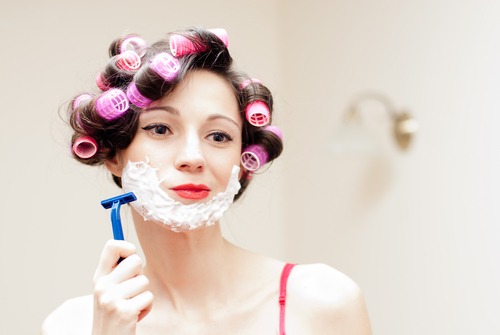 Here we bust myths about shaving your face if you’re a woman and answer all the questions you might have about it. 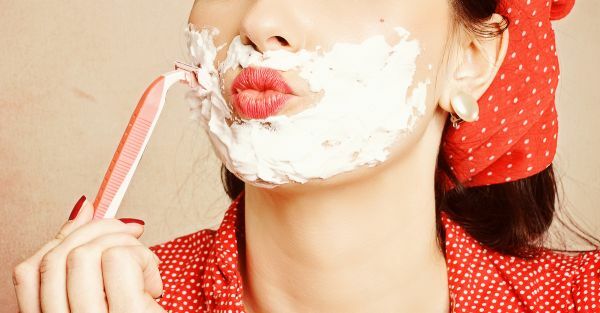 This could quite possibly change your facial hair removal routine for good! 1. Is It A Good Idea For You To Try It? Your face is the first thing anyone sees and too much facial hair can make some of us feel a bit self-conscious. If you have some fuzz on your face that you want to get rid of, then you can give shaving a try. Hair removal creams are a terrible idea for your face thanks to all those chemicals, threading and waxing could leave you with redness and breakouts and bleaching can cause rashes if you have sensitive skin. This is why it’s a good idea to pick up your razor! 2. What If Your Hair Grows Back Thicker? 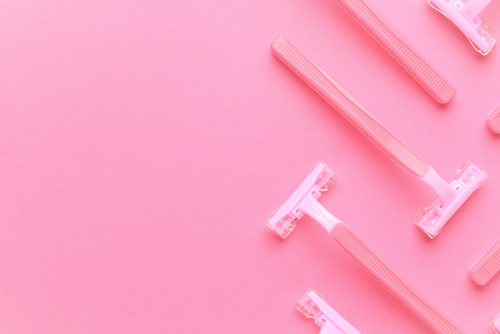 This is probably the one question that will haunt you and stop you from trying shaving and we wouldn’t blame you if it were true - but it’s just a myth ladies! Neither waxing, nor shaving cause the hair to grow back thicker or faster. Your hair will continue to grow at the same rate and thickness as always, unless you destroy the hair follicles with lasers. A razor cuts your hair off at the thickest point. This blunt edge can make you feel like it’s thicker but it actually isn’t. 3. Will You Get Razor Burn? It’s a possibility but that’s why you need to take your time with it and be careful, especially if you have sensitive skin. Also read: 7 Ancient Skincare Secrets That Really Do Work Like A Charm! 4. What About Ingrown Hair? Just like with regular shaving and waxing, you can get ingrown hair. So in order to avoid it, make sure to shave carefully and use a shaving cream. 5. Can We Use Any Kind Of Razor? Picking up a men’s mach 3 razor may make you feel super weird so don’t worry, there are loads of razors available for women. The Tinkle Eyebrow Razor is the most popular choice around the world. Also remember that using the same razors you use on your legs, is not the best idea. 6. Is There A Right Way To Do It? Use a shaving cream on the area first, relax and pull the skin taut. 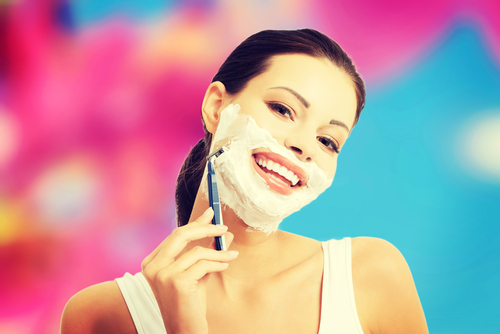 Start shaving downwards, don’t drag the razor against your skin and use short strokes instead. Hold it at a 45 degree angle as you shave. Once you’re done, it’s really important to finish off with a moisturizer (no, not aftershave silly!) to prevent irritation, inflammation and dryness. If you’re feeling super apprehensive, then you can try a patch test on the side of your face to see what it’s like. See how it grows back after a few days and if you’re comfortable then go ahead and do it on the rest of your face. 7. How Often Must You Do It? Like any other form of hair removal, you’ll need to maintain it. How often you’ll need to do it depends on your hair growth. We think once a week on an average is just fine since you don’t want that stubble to grow out. You’re definitely going to get used to how smooth your face feels and would want to do it regularly. 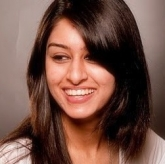 Also read: The BEST Home Remedies To Get Rid Of Facial Hair! 8. What Will My Skin Be Like After Shaving?